Blog Booster and Edublogs: Support Rocks! Sunday, about an issue I had with their app. This morning I had a response from them with a fix. I had to go onto my Edublog pro account and change some writing settings. I followed the directions complete with screenshots and it seems to be working. I also received a follow up email from Sue Waters at Edublogs to see if I was still having difficulties. You have to love this level of support! If only the rest of life had such a strong help network. Posting from the class iPods: I think I figured it out! I played around on the Keystone Commons this evening using my iPod Touch. I wanted to see how the site would work with my class iPods. I was able to access and work on the entire site, including the blog. I had to jump from the visual editor to the “HTML” editor tab to type into the main body of some areas. I had a mini enlightenment and jumped here to Edublogs to see if the same would be true…it is! My students will now be able to use Safari on the iPods to come directly to the class blog, log in, and add to their own secure area. This is a major breakthrough for my classes, although it may be no big deal for others. I am looking forward to trying this out in my classes. Okay, Take Three! This is the third try using this app on my iPod Touch and I am actually writing on my Macbook. I froze the iPod twice, once when the app tried to sync my blog posts to the iPod, and the second time because I hit the buttons incorrectly when trying to take a screenshot. I was pushed out of the app and upon returning the sync process froze the iPod once again. I also lost most of the post, well everything except the title and tags. I am trying this app since I could not find a way to log out of my blog on the free WordPress app. Personally it is not an issue, but with six classes sharing iPods, it becomes an issue. I need them to be able to log in and out, or at least have separate log ins. Blog Booster seems to allow that. I will have to try it out in my classroom to know for certain. The app allows for adjusting text with bold, underline and some other features. Where I get my iPod hung up is when the app tries to synchronize my blog to the iPod. I can jump out of the app and do other things, however when I reenter the app, it goes back to the frozen sync screen. I will e-mail the app creator, 6taps and see if they can enlighten me on this topic. Hopefully they can help and I can push this out to my students. This blog is being written entirely from my iPod Touch. Previously I had toyed with blogging from the iPod, but had limited success. I could log in and create a title and look around, even type excerpts, but could not write to the body of the post. I e-mailed Sue Waters at Edublogs support about the issue, she has been super-fantastic in helping me with the site. She was away, but I received a response from Ronnie B. at Edublogs. He Advised me that others have used the free WordPress app with success. I decided to try it and here I am…posting successfully from a mobile device. To post, open the app by tapping it, then type in you blog URL, no need for the http. Type in username and password, then you are inside and ready to blog. All of my categories were pre-loaded,so I added tags and started writing. side and have the expanded keyboard much like a cell phone keyboard. If you forget something in your post just scroll through and tap the screen where you want the cursor to be. It is so very easy to use. As I experiment more with the app I will update or add more posts. I do believe my students will be able to do this much easier than I am currently. They can text without looking at the phones…as the phones are in their purses or pockets in our classrooms. This will be a cakewalk for them! 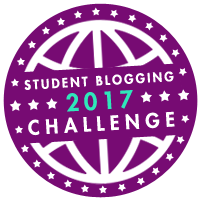 Student Blogging: A new perspective. I presented at Laurel School District’s Tech Camp recently and an issue was brought to my attention…I was bashing writing, or at least my desire to grade student writing. I didn’t mean to come across that way, but after further review…I was. I do not push too many formal writing projects in my class. Students use the writing process in my class and with all projects, I just do not have them turn term papers. I need to make an adjustment, and it will happen now. All of my students will now blog as part of their class grade for my courses. Not all of my classes will have to blog on a regular basis, some may be once a nine weeks with the option to post more often for alternate assignments. 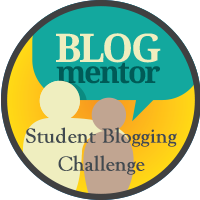 In the past, I encouraged students to blog for enrichment assignments, but I had few takers. This new system should change the lack of participation, although educators know there are often students who do not turn in assignments or make up tests they miss. The blogs will vary in length and purpose, but will be graded on a rubric that includes grammar, spelling, and other areas of literary importance, along with being on the topic of the assignment. The most important aspect of the assignments, is that they will be posted publicly. In retrospect, my issue with the writing assignments of yore was that students wrote for a specific length, based on words or pages, then discarded once graded. Students would toss them out, toss them in the hallways or stairwells, lose them in their lockers, etc. There was no purpose outside of a grade, or practice for the PSSA, at least in the students’ minds. No matter how much I emphasized the purpose of the assignment and the importance of learning the subject, the students were only concerned with the final grade. Now, their work will have a purpose beyond a grade, it will be published for eternity on the Internet. They are all set up as contributors, so I will have the ability to keep work private until approved. I will write more about this reasoning shortly. For now, all that counts is that I found a problem and I believe I have addressed it for the better. MILWAUKEE (AP) – For students entering college this fall, e-mail is too slow, phones have never had cords and the computers they played with as kids are now in museums. The list is meant to remind teachers that cultural references familiar to them might draw blank stares from college freshmen born mostly in 1992. As a 44 year old educator I know my life experience is very different from the students I work with. I try to find ways to relate information to them in meaningful and easily understandable ways. This list is a reminder of how much society has changed just in my students’ lives, not to mention my existence. The list is well worth looking over. Sharing resources and ideas for use with interactive whiteboards. Also, partner with THE 2010 INTERACTIVE WHITEBOARD CHALLENGE Round 1 in June Round 2 in September: http://iwbchallenge.wikispaces.com – for teachers AND STUDENTS. A quick-start guide for teachers who want to try something new in the 2010-2011 school year. I will address two resources in this post, Diigo and Interactive WhiteBoards, (IWBs). The district I teach in, the New Brighton Area School District, added Polyvision Eno Boards, a specific brand of IWB in most classrooms in the High School. They were able to do this through a grant from the government aimed at the secondary level. Now that we have the boards, our staff needs access to ideas and resources so they can use them effectively in the classroom. Since I may be back in the classroom full-time I will not be able to go in and co-teach as I have in the past. That is where Diigo comes into play. On a quick Google search for IWB resources, a group on Diigo, that I had not yet seen, popped up. I joined the open group dedicated to IWB resources and now I have hundreds of free resources added to my library of class tools. It is that simple…create a Diigo account, look over some groups, join and you have hundreds if not thousands of resources and tools at your disposal. You also have an instant Professional Learning Network, (PLN),that you can cultivate and learn from. Granted you will need to look through the ideas and resources, but much of the research has already been done, or at least started. Ah…so little time, so much already set up for me…I love my PLN, they ROCK! I have a page on our staff resource wiki dedicated to IWBs also, the URL is http://nbasdcff.wikispaces.com/Interactive+Whiteboard+Resources. The key to remember is that YOUR STUDENTS are to use the IWB, not watch you use it!! !